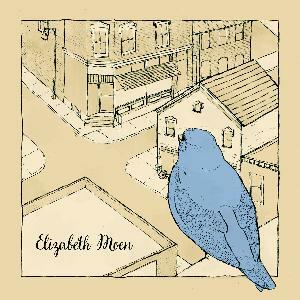 Though originally out of small-town Iowa, singer/songwriter Elizabeth Moen's sound took root in what washed onto to the banks of the Seine. During her time spent in Paris, Moen first began to craft music of inherent hybridity -- not down-home folk, but an away-from, a here's to missing. The local Iowa City native/captive joke makes light of what Moen brings to the forefront of her work: the imperceptible sense of being always lost, asking when--if ever--belonging might embrace us. Pitting the verve and heartiness of acoustic folk up against heavier, electric undercurrents, Moen renders of her ballads ballistic missives. Her sound is at once hopeful and hopelessly grasping for a once was, reclaiming a past that both is and is not her own. While she first taught herself to play on her grandfather's guitar, she drew from classic 70's artists, Joni Mitchell and Stevie Nicks, and is currently inspired by Esme Patterson, Alison Krauss, and Neko Case. Her band mates, guitarist Joseph Ewart, bassist Tim Livinalie, and drummer Carlo Kind, each infuse their own hand-picked poison into the forth-coming album, offering jazz, soul, and blues influences to the sonic cocktail. The album was recorded at local recording studio, Flat Black Studios late fall, 2015.